The decision to exclude the Ktunaxa, Secwepemc and Syilx Okanagan Nations from direct participation in the Columbia River Treaty (CRT) renegotiation is a direct betrayal of any commitment to reconciliation and to the implementation of the UN Declaration on the Rights of Indigenous Peoples (UNDRIP). The Columbia River Treaty (CRT), originally signed in 1964, is the largest international water storage agreement between Canada and the United States. Three dams were constructed in Canada, with reservoirs hundreds of kilometres in length. It has had a significant impact on Indigenous peoples in the area, and residents of the Columbia River Basin continue to live with the devastating impacts of the CRT and its destructive legacy. The Treaty dams and reservoirs inundated 270,000 acres of Canadian ecosystems and displaced more than two thousand people, with inadequate-to-no consultation. The impacts of the Columbia River Treaty dams on the communities and environment of the Columbia Basin cannot be overstated. These nations have been leading the work to restore ecological function to the Columbia River system, including the restoration of salmon. 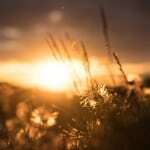 This is not only a question of respecting Indigenous rights; Indigenous leadership and knowledge would be invaluable at the Treaty table from an ecosystem and habitat restoration perspective in order to move toward establishing more natural flows of water. 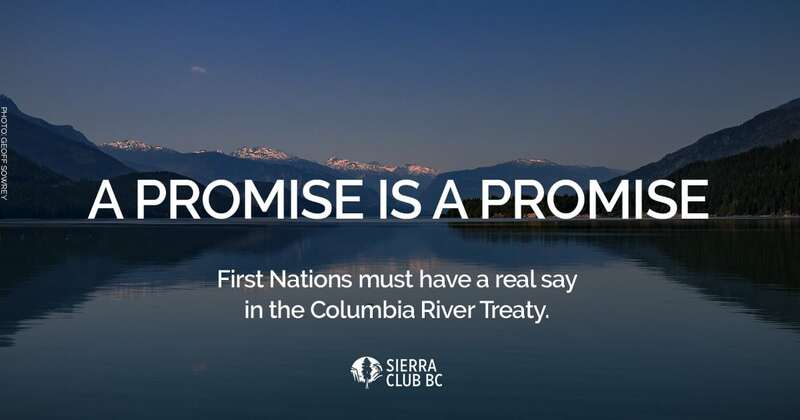 On June 26, Sierra Club BC sent a letter to Minister Chrystia Freeland of Global Affairs Canada, urging her government to include First Nations at the table for the Columbia River Treaty renegotiation. The UN Declaration on the Rights of Indigenous Peoples states governments can’t approve projects that affect Indigenous territory without their “free, prior and informed consent.” Ottawa has pledged to uphold the principle of the UN declaration, but there is a disappointing lack of follow-through, in this case as well as other energy projects in Canada such as the Trans Mountain pipeline and tankers project, or the Site C dam. It is crucial that the Canadian government include the Ktunaxa Nation, Syilx Okanagan Nation and Secwepemc Nation in the CRT renegotiation on a government-to-government basis and that this be remedied before the next formal negotiation session in August 2018. Trudeau spoke highly of a nation-to-nation relationship on the world stage, but we have yet to see this promise in action. To read Sierra Club BC’s full letter, please click here. To send your own letter to Minister Freeland, calling on Canada to uphold UNDRIP and include the Ktunaxa, Secwepemc and Syilx Okanagan Nations in the renegotiation of the Columbia River Treaty, click here.